INDUSTRY.co.id - Jakarta - The Ministry of Agriculture through the Directorate General of Animal Husbandry and Animal Health (Ditjen PKH) has been proven to significantly reduce the case of HPAI (Highly Pathogenic Avian Influenza) every year, both in poultry and humans. To that end, the Myanmar Delegation composed of Parliament and Officials of the Department of Animal Husbandry, Animal Breeding and Health, and the private sector visited the DGCA Office to exchange experience in the control of HPAI (15/2). 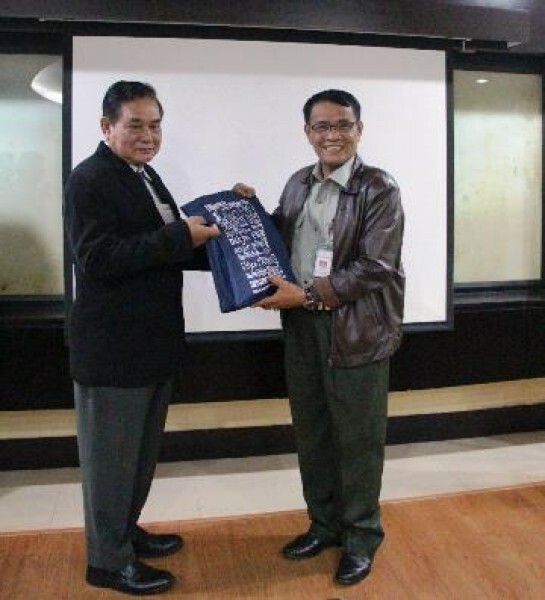 "I thank you for visiting the Delegation from Myanmar," said I Ketut Diarmita. "Hopefully this will be a momentum for us to improve bilateral cooperation in animal health aspect," he added. On the occasion, Director General of PKH I Ketut Diarmita told, since 2003 the first HPAI outbreak in Indonesia has caused serious impact on the national poultry industry. However, using a variety of control strategies, the national poultry industry has increased from stage to stage since 2007 and continues to increase to date. "Currently Indonesia has been declared as the 8th rank in egg production and ranking 10 for broiler production in the world," he said. "With the experience we have, we are happy to share information with Myanmar," he said. I Ketut explains almost all countries in the world face a global threat, one of which is a dynamic AI virus that continues to experience genetic mutations. According to him, many subtypes and new variants are found in several countries, including in developed countries and especially in Asian countries. "Therefore, vigilance and warning need to be improved, besides that also need development of effective and appropriate control strategy," he said. I Ketut also expressed appreciation to Ito Sumardi, Ambassador of the Republic of Indonesia to Myanmar who always provide great support and facilitation to the realization of cooperation and trade between Indonesia and Myanmar. Indonesia and Myanmar are ASEAN member countries "With ASEAN spirit we have to increase technical cooperation and also animal trade and also animal product," said I Ketut Diarmita. "I am very grateful to the Government of Myanmar for approving exports of eggs from Indonesia to Myanmar since 2016 until now," he said. Indonesia hopes the exports will continue and even increase. I hope that hatching eggs imported from Indonesia can stimulate and enhance the development of the poultry industry in Myanmar," he concluded. Fadjar Sumping Tjatur Rasa as Director of Animal Health says, several keys to AI controlling success in Indonesia are: (1). Implementation of AI Free Compartment in breeding farm, Hatchery and large scale commercial Farm; (2). Application of Biosecurity 3 zone model and Vaccination 3 Right on small / medium scale commercial Farm; (3). Online surveillance and monitoring network of AI (Influenza Virus Monitoring / IVM) virus online with support of case reporting system using i-SIKHNAS (Integrated National Animal Health Information System).